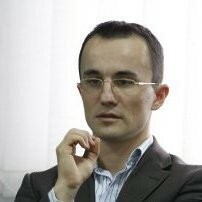 Mr. Alexandru Luca is an experienced Senior Technical Consultant for Mobile Technologies with over 14 years experience in IT & C field. Over the years, Mr. Luca has gained valuable experience in this field both by taking key roles in the companies in which he has worked and by acquiring important certifications in this field such as Certified Enterprise Mobility Management, Certified Solution Design & Deployment and Certified System Architecture. He also holds extensive knowledge of mobile reference technologies applied in the many projects he has been involved in throughout his career. Mr. Luca is a member of the certSIGN team for more than 3 years during which, his activity was an important part of certSIGN’s work and business in this field. The company, with its own mobile security department, has developed and now owns its proprietary mobile products, such as Trust4Mobile – Voice and Messages Encryption application, Fides – Electronic Signature application, and, at this moment, is giving increased interest in continuously improving products and maintaining them at a constantly up-to-date technological level.